Mozambique's National Institute for Disaster Management (INGC) has ordered the forcible removal of people in low-lying areas. It comes amid reports that some peasant farmers are refusing to evacuate unless their cattle and goats are also rescued from the lower banks of the Licuar river along the south of the district of Nicoadala, in the country's central province of Zambézia. 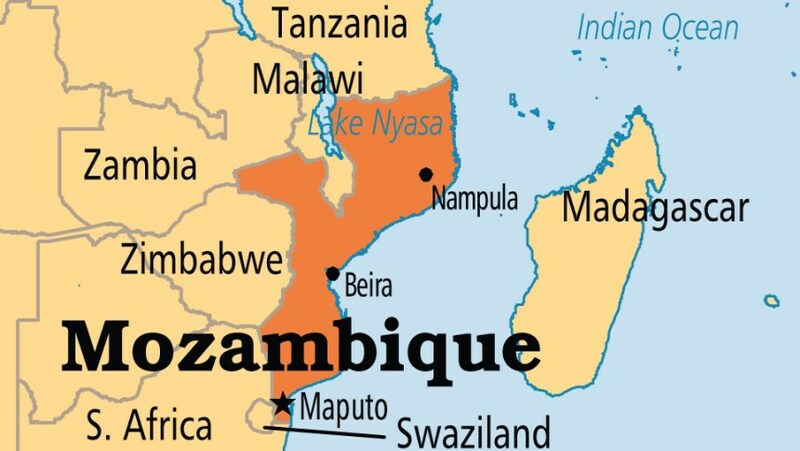 INGC delegate in Zambezia province, Maria Magdalena is quoted by state Radio Mozambique as saying her department will forcibly evacuate 200 farmers who have defied calls to leave areas at risk of flooding, as the Licuar river could burst its banks and swell floodwaters. "Unfortunately, today, we were surprised by the fact that people in accommodation centers refuse to be transferred to the resettlement district of Namitangurine in Nicoadala which is located on the higher ground" the official reportedly said on Saturday. She added: “Of the work carried out by multisectoral brigades for some time, in the transitional centers mostly located in the Josina Machel, Eduardo Mondlane, Mola, Monhonha primary schools and in the Secondary 4 of October, the voluntary transfer of about 200 families to the Namitangurine neighborhood was refused". Madalena explained that the concern was due to the fact that the region was in the middle of the rainy season, with the most prone areas being floods in the Licuar region, in the district of Nicoadala and downstream of the Licungo river at the Nante administrative post in the district of Maganja da Costa. The official warned that there are indications of more rainfall, which is why the numbers may rise significantly. "Until last Thursday, we had at least 9,000 people in temporary accommodation centres". Madalena said. Heavy rains in Mozambique have already killed 50 people since October and destroyed homes, livestock and crops. The government says 92,000 people have been rescued. Humanitarian agencies said early this month that 200,000 were at risk. Mozambicans are often victims of flooding during the rainy season. Floods in 2000 killed 800 people and forced half a million others from homes and forced the government to appeal for almost half a billion dollars from the international community for post-flood reconstruction.